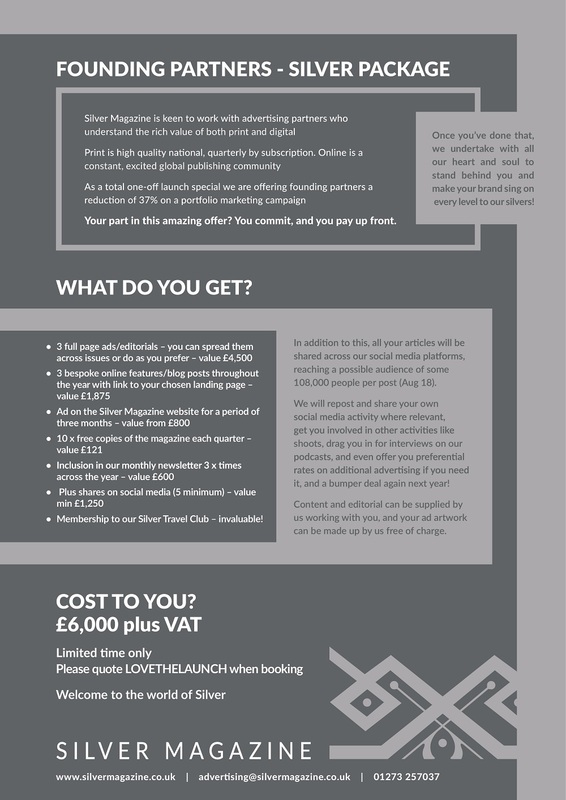 Right now and for only a limited period of time we have some special deals for clients who want to build a really strong relationship with Silver and its readers. 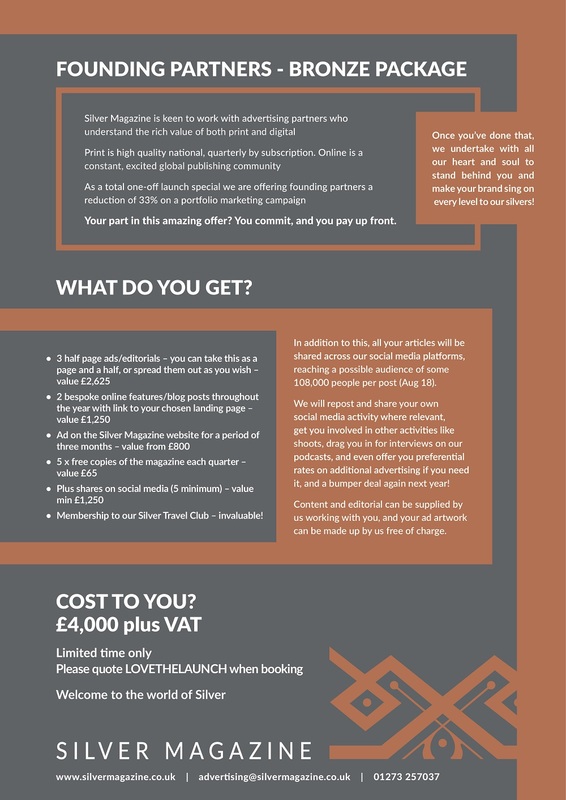 You can download the PDF with all three options here, and the details are shown below. These offers are only available until March 2019 and are non-negotiable. They represent up to a massive 40% on the standard advertising costs. The bigger the package you take, the more you save. 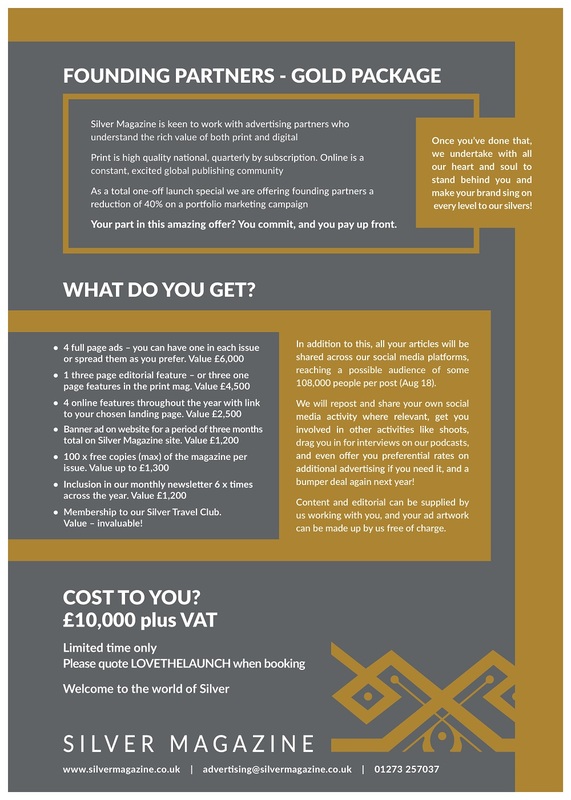 For more information about Silver Magazine and our readers, please check out the media pack.